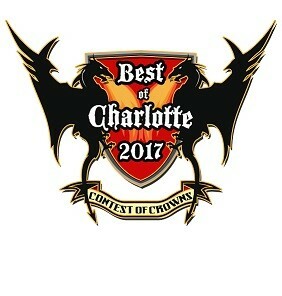 It's Best of Charlotte PARTY time! Let's celebrate The Contest of Crowns! Join us for an evening of drinks, appetizers & live entertainment. We are celebrating our 30th annual Best of Charlotte party. That means come prepared to let loose & celebrate the city of Charlotte and those who make it awesome!! When: Friday, Oct. 20, 6-10 p.m.
Not sure what to expect? Check out these photos from 2014's event, held at the Wells Fargo Atrium. You're not going to want to miss out!